Believe it or not, nature is only a few miles outside of New York. The Meadowlands boasts 100 acres and contains 21 parks with 8 miles of trails. The Richard W. DeKorte Park is open daily and allows dogs, fishing, and picnics. The Meadowlands hosts not only an abundance of wildlife and nature but also the Meadowlands Sports Complex, which is home to the Giants and Jets. Here you will be able to experience nature while seeing the beautiful New York Skyline. If you traveled far, there are even affordable hotels conveniently nearby. Princeton is much more than the college town that might generally pop into your mind. It's a town filled to the brim with history, nature, and luxury. In a drive that is a little over an hour, you can experience hiking, kayaking, horseback riding, or biking. Some of the first Quaker settlers came here to Princeton, and many of the historical areas are preserved or restored. Two hour-long guided tours will show you highlights from the University and the town itself. Princeton is a great excuse to get out and experience something spectacular that is both new and old. Just a two-hour drive away is the secluded town of Kent, Connecticut. New York contains a population of 8.5 million, while Kent is just under 3,000. Here in Kent, you will be far away from any city noise while deep in the calmness of nature. Bull's Bridge is one of three remaining covered bridges that date back to the 19th century. The bridge was built in 1842, and it is still in use as of 2018! The Kent Falls State Park alone will make a trip up worth it. 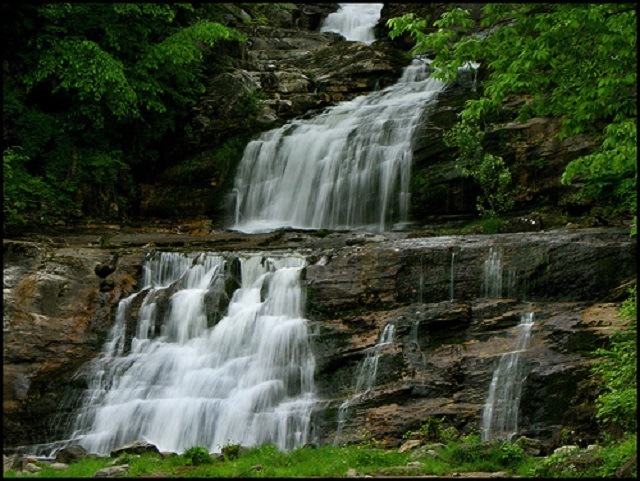 The park is often referred to as "The Jewel of Inland Parks" because of the radiant 17 waterfalls encompassing it. Along with the great views, this park offers a Trout Park, hiking, and picnic areas for your group. The only cost is a small parking fee on weekends and holidays. If you love beaches and want to be away from the crowds Madison, Connecticut is the place to be. It's about a 2-hour drive from New York, and even the car ride will give you a great view as you drive along the coast. Madison has the longest shoreline in Connecticut, leaving you with plenty of space to sprawl out with the family or by yourself. Fishing, hiking, swimming, and camping are just a few things you will be able to do in the small town of Madison. 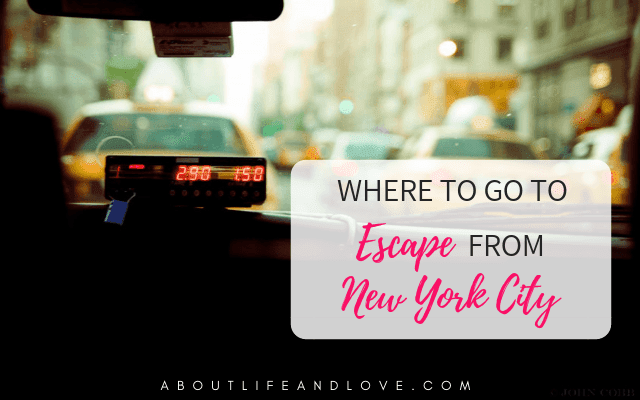 On your trip to get away from the restless nature of New York, you will pass by other small towns that are just as beautiful and quaint. It's about the journey, not the destination, and the destinations are amazing.